Scientific Consensus: Is it a reality or is it a fantasy? “I want to pause here and talk about this notion of consensus, and the rise of what has been called consensus science. I regard consensus science as an extremely pernicious development that ought to be stopped cold in its tracks. Historically, the claim of consensus has been the first refuge of scoundrels; it is a way to avoid debate by claiming that the matter is already settled. Whenever you hear the consensus of scientists agrees on something or other, reach for your wallet, because you’re being had. “Let’s be clear: the work of science has nothing whatever to do with consensus. Consensus is the business of politics. Science, on the contrary, requires only one investigator who happens to be right, which means that he or she has results that are verifiable by reference to the real world. In science consensus is irrelevant. What is relevant is reproducible results. The greatest scientists in history are great precisely because they broke with the consensus. Was Michael correct? Is Scientific Consensus an extremely pernicious development? Is Scientific Consensus the first refuge of scoundrels? Is Scientific Consensus a reality or an oxymoron? Well, let's look at History. Modern scientists follow the evidence-based scientific method that Galileo pioneered. 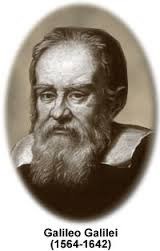 Skeptics who oppose scientific findings that threaten their world view are far closer to Galileo's belief-based critics in the Catholic Church. 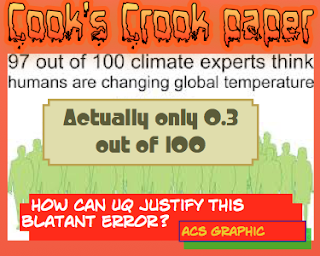 Another failure for the Crook Mr Crook and his disinformation site. The Realists used real world empirical data whilst the shrill, like John Cook's SS site, use models. The models, year by year depart further from the empirical data. And like Galileo, the Realists are attacked by the adherents to the Church of Global Warming and are insultingly and falsely called "Climate Change Deniers." it was believed lifestyle factors, such as stress and diet caused ulcers. The medical elite thought they knew what caused ulcers and stomach cancer. But they (medical elite) were wrong - and did not want to hear the answer that was right. 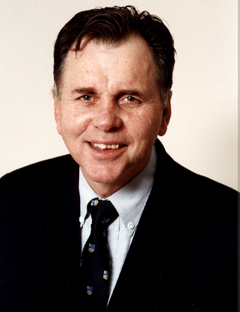 In 1981 Marshall began working with Robin Warren, the Royal Perth Hospital pathologist who, two years earlier, discovered the gut could be overrun by hardy, corkscrew-shaped bacteria called Helicobacter pylori. Biopsying ulcer patients and culturing the organisms in the lab, Marshall traced not just ulcers but also stomach cancer to this gut infection. The cure, he realized, was readily available: anti­biotics. But mainstream gastroenterologists were dismissive, holding on to the old idea that ulcers were caused by stress. The medical elite thought they knew what caused ulcers and stomach cancer........ But they (medical elite) were wrong - and did not want to hear the answer that was right. Have a familiar ring to the AGW followers with a political bent whose major aim is a UN-led World Government? AND there are times when the entire shrill scientific community deny the empirical data and rely on flawed models that have been shown to be erroneous. If a consensus means widespread agreement, how is it that 31000 scientists have signed the Petition Project? If a consensus means widespread agreement, how is it that, although the handful of board members of the American Physical Society pledged their agreement to the Church Of Global Warming, an independent poll of the members found that it was roughly 50:50 for and against. 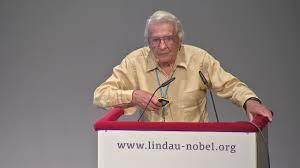 Giaever was one of President Obama’s key scientific supporters in 2008 when he joined over 70 Nobel Science Laureates in endorsing Obama in an October 29, 2008 open letter. Giaever signed his name to the letter which read in part: “The country urgently needs a visionary leader…We are convinced that Senator Barack Obama is such a leader, and we urge you to join us in supporting him. “That is what he said. That is a ridiculous statement,” Giaever explained. “I say this to Obama: Excuse me, Mr. President, but you’re wrong. Dead wrong,” Giaever said. AND yet, the scoundrels pushing the falsified AGW hypothesis still cling to the consensus. Shame on them. President Donald Trump talked of utilizing all of America’s energy resources during his campaign for the Presidency, but first on his agenda was ending the war on coal. That war was expanded during the Obama administration which passed environmental regulation after regulation in order to make management of old coal-fired power plants or construction of new plants nearly impossible.